An exclusive interview with Jeff Davis, the actor who played Frank Taylor. 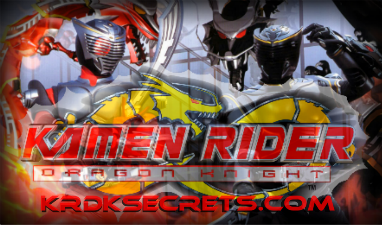 What did you like most about working on Kamen Rider Dragon Knight? I liked working on KRDK because I believed we had a great show, I knew the show would appeal to a wide age range. We had something for kids from ages 6 - 16, I think with the right time slot the show would have been a big success. I have two sons of my own and they really enjoyed the show. There was quite a long break between the pilot and the main series, did you think that the show would go ahead? I had always had big hopes for the show, but had started to wonder if it would ever get made. The Wang brothers did a great job with the pilot and had done a creative adaptation of the Japanese show. I think even the true Kamen Rider fans tuned in weekly to see what was going to happen next. I just wish we could have continued with the show, I myself looked forward to seeing where we could go with it. The last 10 episodes were really taking the show to a new level and it was a shame it was cancelled. Were you aware that the “dream Frank” was actually Xaviax when you were playing the part? originally when we first started shooting I was not aware that I was being controlled by Xaviax, we thought that Frank was guiding Kit in someway through Kit's subconsious. As we got into the hospital scenes, it became known that Xaviax was controlling what Frank was saying to Kit. Was it easier or harder than your normal roles to play someone who was unresponsive for a lot of the time? It was different to say the least. I guess it was difficult because Frank was not in a coma, so I had to try to figure out how to play it nonresponsive but awake and aware. I didn't want to let it become cheezy, hopefully it didn't. Most of your scenes were obviously with Stephen Lunsford (Kit) but did you mix much with the rest of the cast when you weren’t in front of the camera? I did, I really enjoyed working with all of the young actors, we had great directors and the Wang Brothers were amazing. I would say that I got a chance to hang with most of the actors and still keep in touch with many of them. Mostly via facebook, but we get together from time to time. We also keep in touch with much of the crew. It was a great experience all around and I think everyone was just having fun and hated to see it end. Did you ever feel you were missing out that you didn’t get to do any action scenes?